We interviewed the two melophiliacs and Bananagrammers from NY, who shared us the story behind “Aphrodite” and musical journey. Photo: Courtesy of Satellite Mode. Alex Marko (left) and Jess Carvo (right). Despite their serious expressions, they are two funny melophiliacs who would skip out concerts to eat ramen and knock out soup cans in the supermarket. Satellite Mode was formerly known as Aeroplane Mode, but made the name change in 2016. 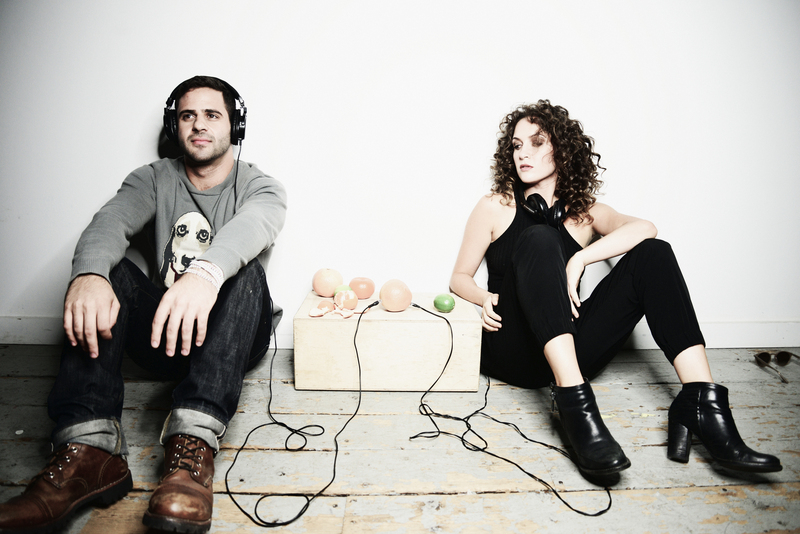 Comprised of Jess Carvo (vocals) and Alex Marko (production/instruments), these two NY-based artists decided to craft together after meeting at the selective BMI songwriting workshop (where thousands apply and only tens get admitted). They had a song-crush on each other for a while and finally decided to collaborate. Initially, both planned on pitching for other artists, but after experiencing personal tragedies and writing their music about those events, they both decided to keep their songs and form Satellite Mode. 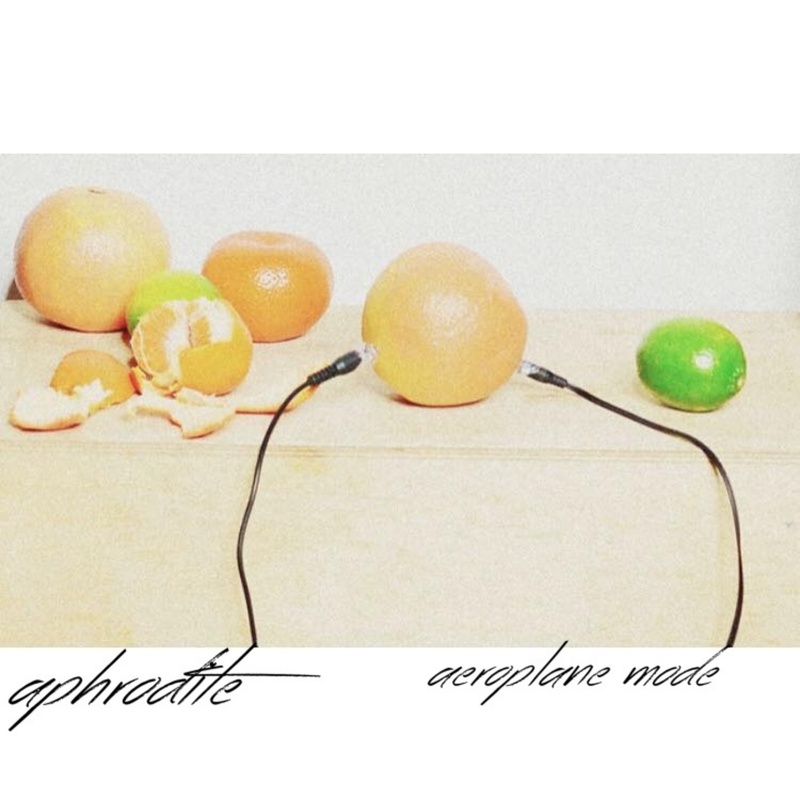 We interviewed the two who discussed the story behind their band name, “Aphrodite”, influences, and obsession with bananas. Tell us about the story behind your band name and why you guys changed from being pitching songwriters to performing artists. A: I wouldn’t. No way! Sorry Biebs. No. (laughs) So anyways, what would happen is that we would get really intense during our session every day and what brought us together was this writing…what we would do is that we would put our phones in airplane mode during every session because we wanted to tune out the outside world and tune in what was going on with ourselves and that’s sort of where the band name came from. It was from this introspection of really finding deeply and subtly what we felt. A: We have a shared Spotify playlist right now of our biggest influences, you will be surprised because we like Billy Joel a lot and it’s weird because we have this electronic sound. A: She likes Mariah Carey too. J: (laughs) I loved her golden year, 1997. J: But what we’re trying to do here and what we like about Aeroplane Mode is that we’re not electronic only, but we are also singer and songwriters at heart so all of our songs can be played on acoustic guitar and voice. There’s melody that drives the song and we are sort of trying to blend two styles, so our biggest influences are more singer/songwriter-driven songs and yet still have contemporary influences as well. Was it hard to transition from being songwriters to artists? J: For me it’s harder to do it the other way. I personally feel I have something to say that sometimes I’m not even aware of it, but it just comes out. And it comes out my way…and I don’t know about you Alex, but I really need to collaborate with someone who does that for a living, who pitches for a living, in order to really craft something cus I am not skilled in that. A: Yeah, I think we realized that we are more artists at heart than pitching songwriters. We obviously write the songs, but we are writing it for us. What’s the story behind “Wild Excuses”? Who came up with the idea? A: Well, it’s a collaboration. J: It was based on different series of events. J: Yeah, we couldn’t decide what song to work on in the very beginning. A: We were sitting on this couch and it was one of our first live sessions, uhm, we were just trying to practice to play live and when we were done, I started playing these chords on the guitar and Jess started singing the lyrics. [Afterwards] we went back into my apartment and I had an iPhone recording of her singing and another part of me and we honed in on the word “Wild Excuses.” “Wild Excuses” for us is not about the song, but it’s about what our band is about so that’s why we wanted it as our first release. Our band is about uncovering the truth within everything – no matter what situation you’re in, just trying to get into the truth behind the matter. J: Personal truth, not right or wrong. Just finding the truth and uncovering layers of deception. A: Yeah, just finding truth, carving truth, what’s real and I think the reason why “Wild Excuses” resonates with people and why we’re getting positive reaction is cus it has a universal meaning of somebody trying to hide what is real, looking into someone’s face and trying to figure out what’s real and what’s not real, and I think that’s sort of what the idea is, but at the same time it means something different to everyone and that’s the beauty of art. You look at a painting, you listen to a song, somebody would connect to a different line and it could mean something different to them. And it’s a type of song that is so broad that it could mean something to me, but it could mean something different to Jess, it could mean something different to you. But at the end of the day our mantra is finding truth behind everything. Can you give us the story behind “Aphrodite”? J: To give you a concise answer, I would say think of it as a story and learning about loving someone when logic tells you otherwise. It’s like that bad-habit kind of love. It’s about finding yourself and figuring out who you are, who you are in relation to other people, how you’re seeing other people in relation to how you’re seeing yourself. What you’re projecting vs. what you’re relating to, you know? Just maturing. Which song was harder to sing, “Wild Excuses” or “Aphrodite”? Which one felt more personal and made you feel you were exposing too much? J: I don’t know if I would even use the word hard. I think they’re both…they both have different emotions. I don’t know about you Alex, but when we were creating it, my head was in a different space, what I was thinking of was different and who I was thinking of was different. The circumstances surrounding the inspiration for that song was different too. A: As far as for the writing, “Aphrodite” we nailed it down in a session whereas “Wild Excuses” was more sporadic and I think it encompass more the cacophony that we were having in life. “Aphrodite” was more of a fluid piece. When you are making music together, do you guys collaborate equally in writing the lyrics and composing the melody, or take a lopsided approach? J: You can’t really distinguish, every song is different and it’s all very intertwined. A: Yeah, team Aeroplane Mode here. So for all intents and purposes, Jess is the singer here obviously ,and I produce the music, but at the same time she’ll sing something and I would say say, “oh, what about this melody?” and I would be producing something and she’ll be like, “oh, what about doing this here and there?” So, we’ll finish each other sentences, musically speaking, and lyrically we’ll help each other out. So it’s very much a team. If you guys could collaborate or choose a DJ to remix your work, who would it be and why? A: Yeah, we’re having hard time with this one. Honestly, (turns to Jess) do you know who I would pick out? A: But I don’t know if I wanna say that anymore…I’d pick Diplo. I like Major Lazer, they’re really good. A: I like Mike Snow, but is that a DJ? Well he’s not a DJ, but I feel like if I’d give it to Mike Snow he would do something really cool. J: Whichever DJ is most inspired. A: Yeah, and Odesza’s really good. So maybe Mike Snow, Odesza, and we could all collaborate together to make this crazy remix. A: Yeah, The Chainsmokers would be nice. The song “Roses” by them is really good. J: And I would be curious to hear what Made of Oak’s Sylvan Esso would do. When can we expect an album from you two? Both: (laugh) That’s a good question. A: We have a plan, we don’t know when to expect an album but we’ll see. But there is something coming for sure. Speaking of plans, what are your plans for 2016? A: For 2016? Write as much songs as we can but really, our live shows are really important for us. It’s the biggest thing that we’re gonna be working on because we have a background of songs that we want to premier and show people, so we’ve been intensely working with really amazing musicians for our live show. We’re really excited to connect with people in person cus…I mean, connecting with others online is great, you get feedback and people hear your music, which is awesome! But we want to start seeing people’s eyes when we play live and hearing Jess sing live is really moving, I’m lucky to get to hear it all the time. So just showcasing that and the strength of the song. So 2016 will be the year of the touring and more music. J: That’s what we both love, performing live. That’s why I got into music for and I think Alex too. J: Until now, recording was just a thing that I had to do for performing live. And it’s cool that the business in terms of making a living is that way now. So personally I’m really excited. A: And we love traveling. J: Only on the road! Because in other times I eat pretty healthy. J: Yeah, because only on the road I get free pass. Well, speaking of food. What’s up with you guys and fruits? Especially bananas. A: (laughs) Jess, you tell the story about the bananas. J: Yeah, so we were in St. Mark’s square, in the village area of New York, and we saw Cher together. And I think we had noodles or something. A: Oh, we had ramen! This was the most random night ever. A: We started drawing out these bananas and we were pushing shopping carts and knocking over cans of soup and doing all these weird stuffs, we just had so much fun with that. And we were like, ‘Lets just make this our thing because it’s us.’ I mean, our songs may be heavy, but we have light hearts. J: Yeah, it’s also a way to be light about it and not always have to use our faces for everything. J: I think there wasn’t more to it when we first thought of it but now it’s taking on a life of its own. A: Yeah, and we like it because people are finding us and you guys wrote about it too. We were just really happy that people liked it. J: That is so funny! See, that night in St Mark’s brought us together. A: (laughs) Let me just brush my shoulders off. Like & follow Satellite Mode on Facebook, Soundcloud and Twitter. For banana photos and peak of their lives, follow their Bananagram Instagram.